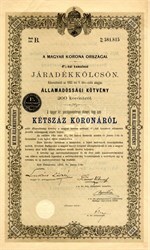 Beautiful certificate from the Hungarian Government This Bond was printed in 1903. This historic document has an ornate border around it with a vignette of an allegorical seal. 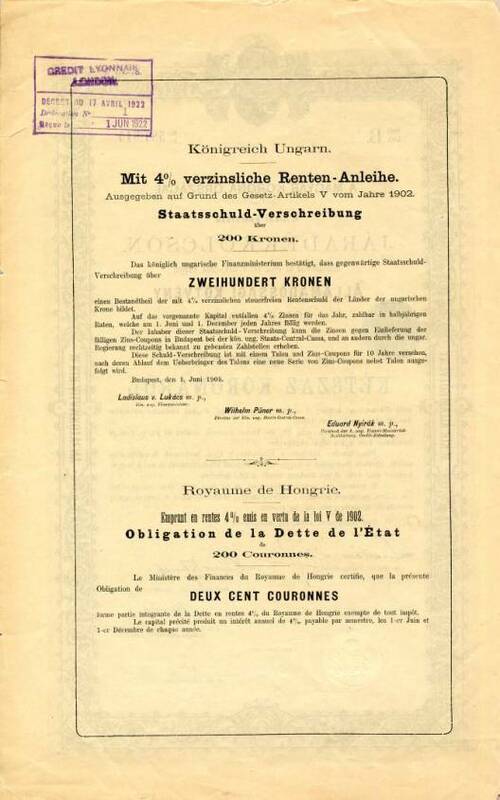 This item has both original and printed signatures and is over 109 years old. Damaged border.